Organizations such as the Sierra Club and Friends of the Earth are familiar to anyone with an interest in environmental protection. As activist groups, they played by the same rules for years. But in 1994, the rules changed. With the Republican takeover of Congress, environmental groups faced sweeping changes in federal policies that threatened the enforcement of environmental laws. As these organizations intensified their efforts to meet these challenges, they also altered their electoral strategies and political spending patterns. This book traces those actions and shows what they mean for the future of environmentalism in the political arena. While environmental advocacy groups have become bigger and better funded in recent years, so have the corporate interests that compete with them for the attention of public and politicians. The Green Agenda in American Politics offers a new look at environmental advocacy that focuses on contemporary lobbying, electioneering, and agenda setting in this new context. Drawing on interviews with activists from a wide range of organizations, Robert Duffy describes what environmental groups actually do when lobbying officials or the public. He examines activity at both national and state levels to emphasize their growing use of websites, email, and action alert networks to conduct more sophisticated grassroots campaigns, and he shows how they are devoting more funds to unregulated forms of spending such as independent expenditure, issue advocacy advertising, and public education campaigns. Duffy also tracks emerging trends in interest group politics and provides an overview of activism through the early 1990s. He then documents the emergence of more aggressive action after 1994, such as providing campaign services to candidates and mounting voter registration drives. He also shows how state and local groups have begun to play more important roles in the wake of the rollback of federal environmental regulations. 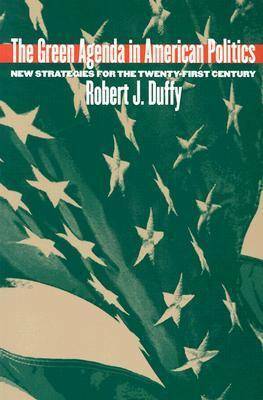 Brimming with new insights into interest group lobbies in general and contemporary environmental groups in particular, Duffy's book opens a new window on the influence of Big Money in the supposedly democratic electoral process.